Next Day Delivery still available with string upgrades. Being the first to introduce web based string upgrades we have the resources and latest electronic equipment to re-string accurately and quickly. 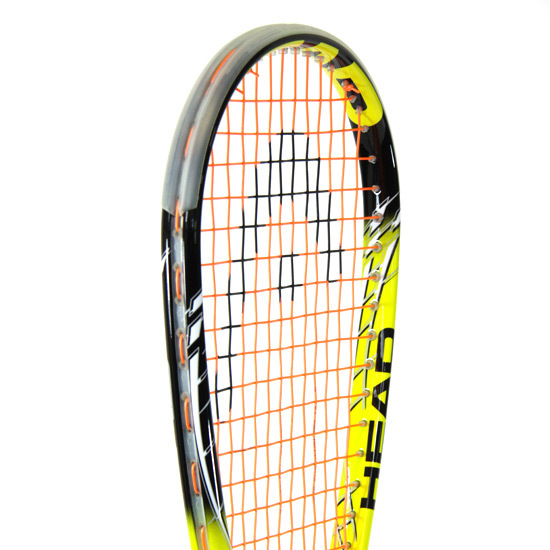 Please note restrung rackets can't be returned for refunds or exchanges. d30 - this futuristic material changes under different circumstances and adapts to the player's needs. On aggressive shots the molecules lock together which increases stiffness and creates greater power. On passing shots the molecules absorb impact which creates a softer touch and increased feel. Corrugated Technology - corrugated rails are incorporated into the shaft creating 12% more stiffness than conventional racket shafts. This increases power on every stroke. 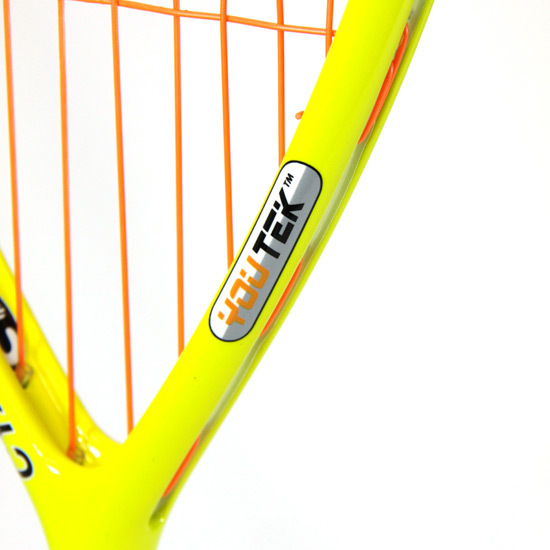 Also features Teflon grommets which create a self lubricating effect allowing the strings to slide through the grommets reducing friction. 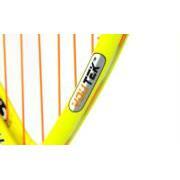 This also reduces energy loss on ball impact producing greater power. 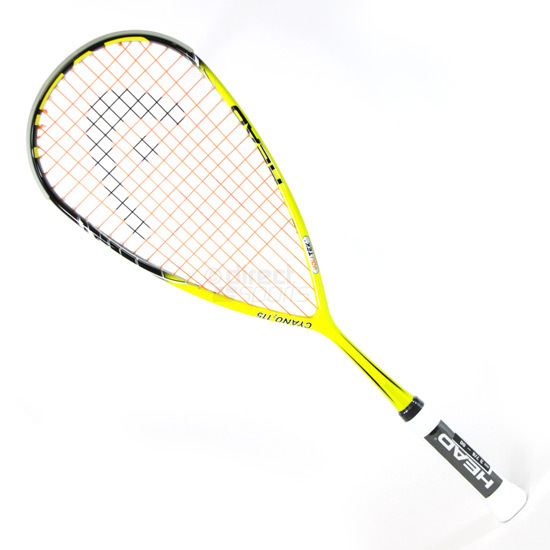 Provides an even and consistent string tension enlarging the sweetspot for greater shot accuracy. 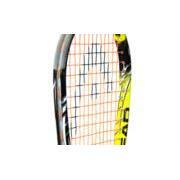 Racket is supplied strung and comes with an open handle case.